The question I have is I have never been able to learn how to read music, I have tried many times, I've tried to learn how to play piano, clarinet and flute and after less two years have had to quit because my teachers get frustrated with me. If the letters are above the notes I can read the letters, but take them away I am lost. My teachers have tried to tell me what keys are what notes but this does nothing. I am just wanting to learn how to play music for fun not get into any sort of band or group. Is there a name for individuals who can't learn to read music notes? Is there a way these types of people can learn to read music without having to learn how to read the actual notes but can learn with the letters instead? How would I go about telling a teacher this or asking this question? Any advice would be most helpful, as I find music very relaxing and don't want my disabilities preventing me from doing the things I love and am interested in. Comments for I can't seem to learn to read music? I wrote to you not long ago,and I hope I didn't come across as too horrible. I just get fustrated when I read that someone says that they can't learn how to read music. Because like I said earlier,if I can do it,im sure you can. feel free to contact me on my email address. Don't worry im not gonna charge you anything,it will be entirely free,and thats a promise! You and I can take it nice and slowly,and hopefully I can show you,that you can do it. Im gonna start off by being perhaps a little harsh,in the sense that you have answered your own question as to why you can't read music. In other words anytime you say you can't do something,you won't do it. The only thing that stands between you and learning music is the word "Can't",thats it. So from now on say "I can learn music",and this will make you feel more confident about learning how to read music. Im 49 and iv'e tried like you, for years to learn music,and always gave up. But last year I was determined to do it,and suprise,suprise. I can now follow a piano score,well most of it at least. How did I do it,well I found a diagram of the piano with the notes on the stave below each key,and I learnt one octave at a time. I sat and memorised all the notes on the treble and the bass clef.Im not an expert,and Im still learning but it can be done. So take it nice and slow,and don't try and learn everything in one go. But please don't give up. I studied in music conservatory and graduated in Jazz (college) and still can’t read music. You are not the only one. Just use your ears and instinct. Let it go. TLDR: You might try repeatedly singing "Do-Re-Mi" from the Sound of music while replacing the syllables with music note names, e.g. 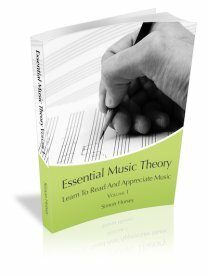 More, if you want it: after this version is firmly rooted in parallel to previously held knowledge, find/print basic piano sheet music for Do-Re-Mi and lable /only/ these notes with relevant letters. (Also: doing this on paper (rather than keyboard) if you can is thing that matters because writing by hand taps into learning through muscle memory.) Feel free to reprint and repeat this step -- or any others below -- as many times as you want to: repetition is an education tool at your disposal, not an indication of learning ability nor intellect. Moving along: repeat the singing exercise while looking at the sheet music. The intent is not to read the music at this point; rather, it's to visualize the already familiar note progression along abstract lines and spaces. Next, find/print a notation of the scale and label the 8 notes in sequence (feel free to check your Do-Re-Mi cheat sheet for reminders as needed - this isn't a quiz). Then continue the daily singing exercise while labeling each note in Do-Re-Mi with the appropriate letter, a few bars at a time. The above process will take time. How much time? It's different for everyone depending on so many things. No matter how long, keep struggling with it as amidst that struggle is where learning happens. I have an MA in Linguistics and 12 years of experience teaching ESL to secondary students and adults. It's possible that this Q&A may be quite dated by the time I am posting, but I'm replying nevertheless so that others who Google the topic might give the above suggestion a try to see if it works for them. Based on teaching methodology and epistimology should work for many, but not all. I stumbled upon this question while trying to google Sacred Harp Music notation (a new concept for me). I was struck by how many previous suggestions (which are helpful and will work for many newer learners) aim to replace information rather than reinforce or expand knowledge held by adult learners. Yet, in language education, we use adult learners' prior life experience and contextual familiarity to build on their knowledge. This Q&A is about music but also words, and the relevant brain processes strengthen each other. Why not use that? Thus, at 4 am on the day after stumbling upon this thread, my brain was (apparently) still chewing on the As to this Q. I woke up with an "Oh hey that would work!" and posted. Hi. I've been playing piano since the age of 5. I studied in do re mi until the age of 10 when my family moved to the States. I continued taking lessons in c d e which did not stick. I also could never read notes since I would memorize the piece. Even complex pieces. I have no time to start learning to read at 50. And truthfully I'm not interested. I had so So many piano teachers. All i would do is look at their fingers and copy. There are so many classical pieces i would love to learn. i have the technique and speed to play but cant read. I noticed the app "the piano maestro" which would have been perfect given that the LED lights go on to the note, cords etc.. it is for beginners only and the LED strips are only 44 keys rather then 88 notes. I wished they was a similar product that has the full 88 notes like the piano. Any suggestions? Thank for reading my comments. I have had a hard time learning to read music but it helped to relax and feel it through rather than think it through. I found it a bit more intuitive than rational. It also helped to see how a string is divided up, for different notes and octaves. A bit of theory behind the theory! Hi, I am aware that this response is coming late but I hope it gets to you. I use an acronym, there are tons and you could make one up but the one i use is for on the lines: Every Good Boy Deserves Fudge. (EGBDF) and then in the spaces: FACE in space (FACE) and its all the easier. First - it's great that you still want to learn to read music even with the difficulties you have had and I commend that. Without actually teaching you I will find it difficult to say why you have these challenges, but I will make some general suggestions here, do some further research and send you an email (I have removed your email address from the post above so as not to have it just hanging around on a public forum). 1. It is always difficult to move from notes with letters to notes without. I never let students write letters over notes, right from lesson 1, but in the cases where this has happened I go back to the beginning (I have even done this with Grade 5 students I have taken on) and set three notes per week to be learned. I ensure I pick notes which are far apart on the staff and try to have one with some kind of 'hook'. So, in week 1 (Treble clef) maybe B on this middle line because it is Bang in the middle, plus F in the bottom space and E in the top space. The student has one week to be able to name these notes and find them on the keyboard. They also have to go through all of their music and erase these letter names (if they are working on something where they are written in). In addition I write short pieces just using these notes which they have to play - also naming the notes out loud as they are played. In addition there are a couple of writing exercises using just these notes. The next week, I choose two more notes say D below the staff (Down below) and D on the 4th line. Students work on adding these notes and doing similar exercises to the week before. It takes time - but seems to work. Unless there is something particularly pressing to learn a piece for I spend time working on rhythms - again very simple at first - no pitch just rhythms (on a variety of percussion instruments to keep it interesting and save your hands from clapping too much!) Again, start with just 2 simple values and add each week. The key here is the same - music isn't a race. Take it slowly one thing at a time. Get that right before moving on even if it takes a few weeks. It will be worth it in the end. You may have a condition called musical dyslexia (also known as dysmusia) This is a similar condition to dyslexia but involves difficulty with processing music notes rather than words. However, don't immediately think this is the case and I would certainly not say it was without spending time working with you as a teacher. Here is an article if you are interested. Even if you never learn to read music (and I do think you are right to keep trying because it gives you access to so many pieces!) you can still derive a great deal of pleasure from improvising or playing by ear. The best way to talk to a teacher about this is exactly as you have here. Let them know at the outset that you have had problems in the past with reading and ask if they have the experience to support you, or can recommend somebody who does/can. This way it will be less frustrating for both of you. This is a general response in case others are here with similar challenges to deal with, but as I said, I will email you with more information/advice once I have done some research. Anybody else who has experience or advice to offer - please do!